4. 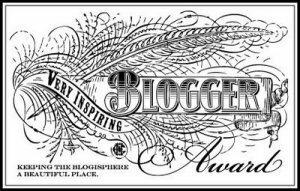 Nominate other blogs and inform them about it. Fact #5 I love pushing people’s limits. It’s a personal bad habit. Fact #6 My family keeps me sane. Previous Previous post: Of Fries And Men : Happy One Year ! Thank you so much for the kind words 🙂 and no I don’t think you’re dull either!! That’s one very well deserved award. I just stopped by your blog (thanks for stopping by my blog, by the way) and I couldn’t stop reading. I smiled, laughed, and felt heartache–something not many blogs can make me do–and for that, I thank you.